The Philadelphia Phillies look to reach the .500 mark while the Colorado Rockies shoot to hop over it when the two teams meet for the first of a quick two-game series at Coors Field Monday night. Baseball Bookies list Colorado as -115 favorites for Monday’s game, with an over/under of 11. These two teams also met in the first round of the NL playoffs last year, when the Rocks swept the Phils in three games on their way to the World Series. 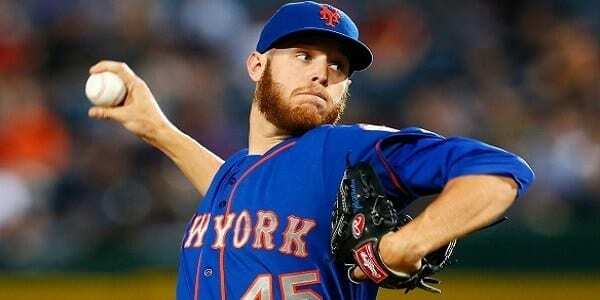 Philly salvaged one game of a three-game set with the New York Mets over the weekend by taking Sunday night’s game 5-4. Meanwhile, Colorado wound up a 5-4 road trip by falling at Houston Sunday 6-4. So heading into Monday’s game, the Phillies sit in fourth place in the NL East, 2 games behind the first-place Florida Marlins, while the Rockies occupy second place in the NL West, four games back of the division-leading Arizona Diamondbacks. Philadelphia is 3-4 on the road this season, and 8-11 vs the run line. On the other side of this match-up, Colorado is 3-3 at home this year, and 7-11 vs. the run line. Second-year right-hander Kyle Kendrick (1-2, 4.40, 1.74 WHIP this year) is slated to take the hill for the Phillies Monday night against veteran lefty Mark Redman (2-1, 4.60, 1.60) for the Rocks. Philly is 1-2 in Kendrick’s starts this year, and two of those games went over their totals. In his latest outing, Kendrick allowed two ER on five baserunners (hits + walks) in seven IP of a 2-1 Phillies loss to Houston last Wednesday. Last year, Kendrick started three games vs. Colorado, one in that playoff series. He allowed 12 ER and 26 BR in just 12 2/3 IP in those games. Not surprisingly, Philly lost all three of those games, and all three went over their totals. The Rockies are 2-1 in Redman’s starts this year, and two of those games went over their totals. In his most recent start, Redman allowed two ER and six BR in five innings of a 10-2 Colorado win at San Diego Wednesday. Redman, as a member of the Atlanta Braves last year, started once vs. the Phillies, and got clipped for three ER and eight BR in just an inning and two-thirds of a 6-4 Atlanta loss. Last year, including that playoff series, the Rockies took seven of ten games from Philly. Also, the o/u went 6-4 in those 10 games, which averaged 10.7 total runs per. The Phillies rank 11th in the majors with their .336 team OBP, 5th in team slugging at .449, and are averaging 4.5 runs per game. And Philadelphia leads the big leagues in home runs with 30. On the other line-up card, Colorado ranks 20th in OBP at .323, 22nd in slugging at .374 and is averaging 4.2 RPG. Also, the Rockies have banged out at least nine hits in each of their last five games. 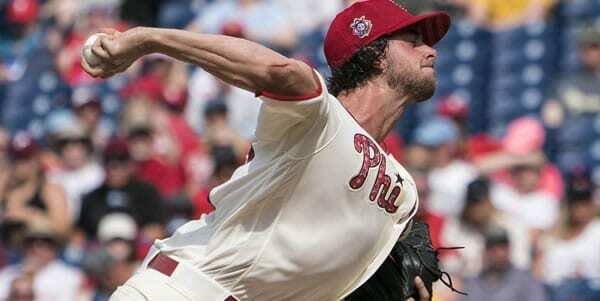 Over its last five games, the Philly bullpen has allowed just three ER and 18 BR, covering 13 IP. Meanwhile, the Colorado pen has given up five ER and 23 BR over its last five games, covering 27 1/3 innings of work. Fifteen of those IP came in that 22-inning, 2-1 win in San Diego last Thursday. The o/u is 8-11 in Phillies games this year, which are averaging 8.9 total runs, while the totals are 9-9 in Rockies games, which are averaging 8.8 total runs. And games played at Coors Field last year averaged 10.7 RPG, 3rd-most among major league ballparks. Zman’s Pick: I like the Phillies to win at Coors tonight!